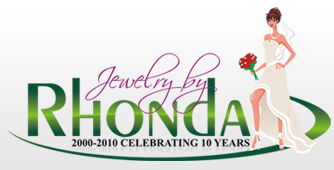 This jewelry is handcrafted using approx. 14mm hand-carved golden mother-of-pearl. The necklace is on a 16" sterling silver chain (yes, custom lengths are available - just email us). The matching bracelet is approx. 7" long (yes, custom lengths are available - just email us). The matching earrings are sterling silver Frenchwires. Black mother-of-pearl is also available. The necklace is approx. 16" long (yes, we can make custom lengths - just email us) with approx. 7x5mm black/peacock genuine cultured freshwater pearls. You can also choose to have cream/white freshwater pearls or pink/peach freshwater pearls. There are six 10mm 3-D sterling silver rose beads. The necklace has a 2" sterling silver extender on the back. The matching earrings are on sterling silver Frenchwires (yes, you can order optional sterling silver leverback earrings or optional sterling silver dangle stud earrings). They are approx. 1 1/4" long with a sterling silver approx. 7mm rose link and matching freshwater pearls.